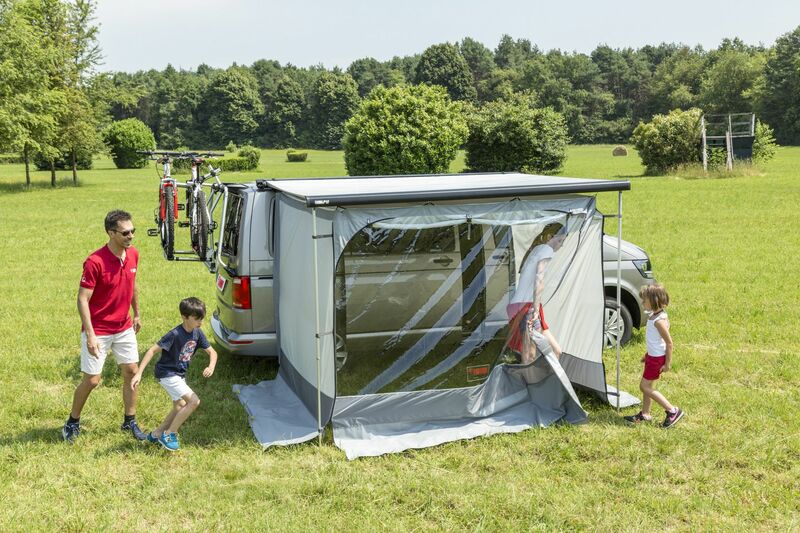 Awning of compact design. 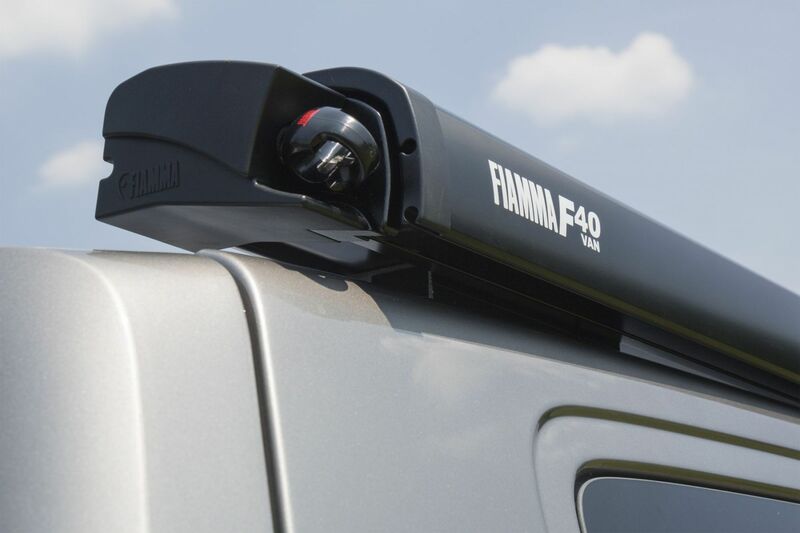 The F40van is a great addition to any campervan due its aesthetics and removable fixing brackets. 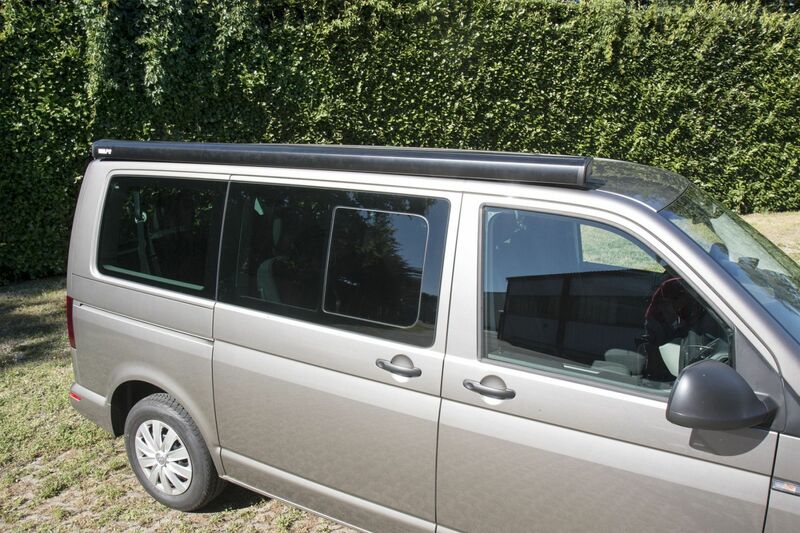 Excellent quality/price ratio, it is fixed on the upper part of the van with reduced height, thanks to the lowered brackets. 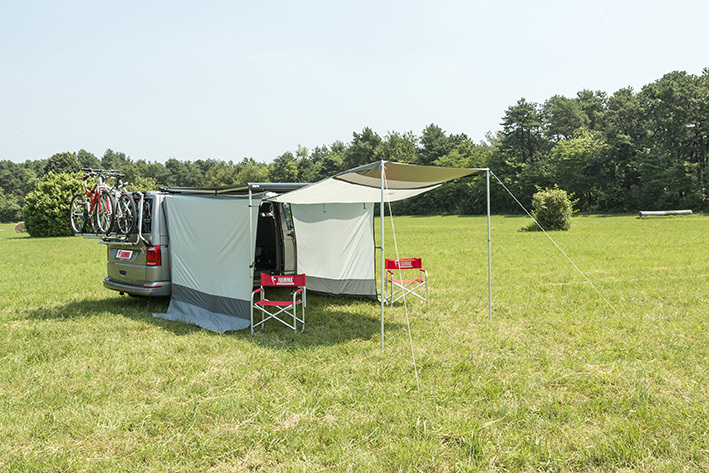 The awning is carefully designed with automotive finishing, available with Deep Black case box and Royal Grey fabric. 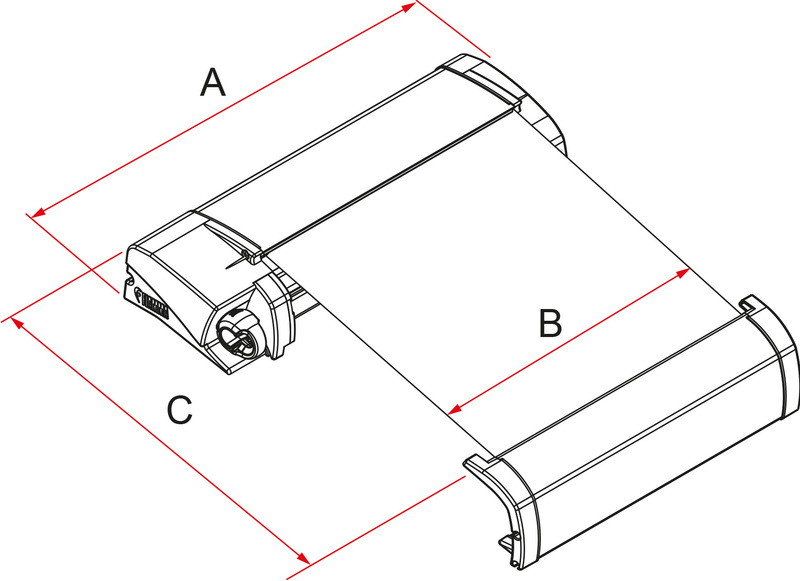 It unrolls in an overhand motion to guarantee fabric tension. 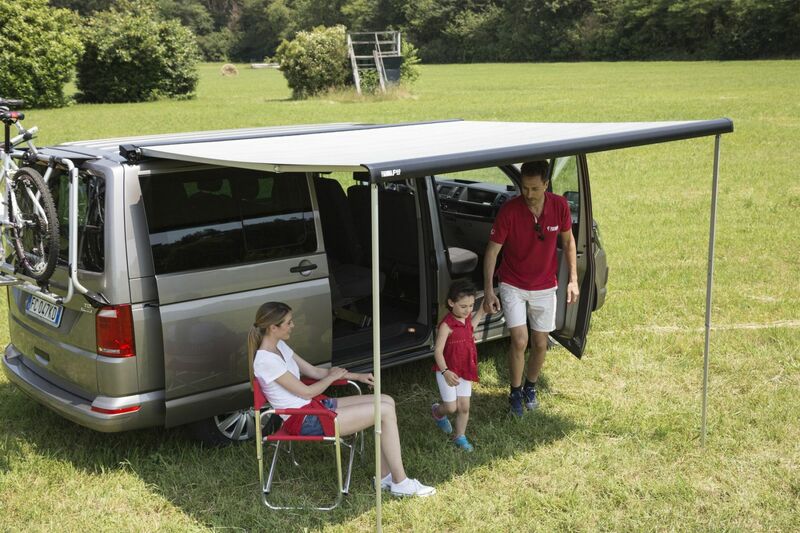 Possibility of installation only on VWT5 and T6 standard roof variants. 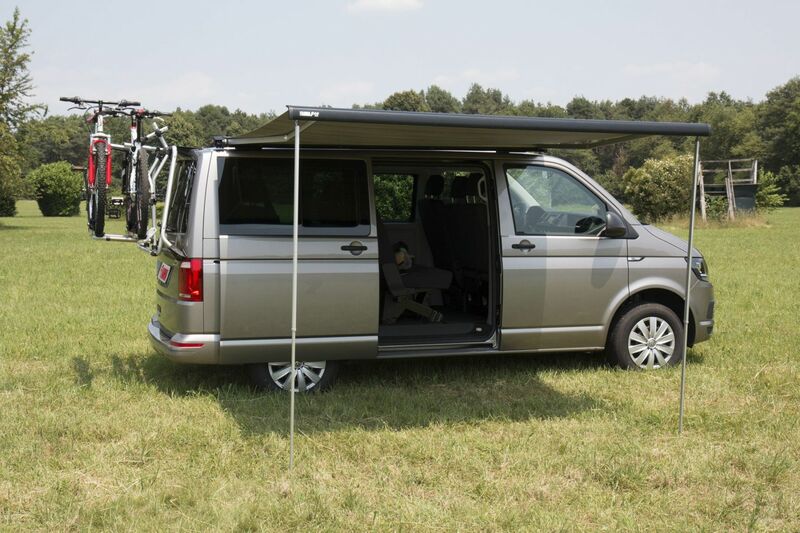 Not suitable for vehicles with pop roofs (including Volkswagen California). 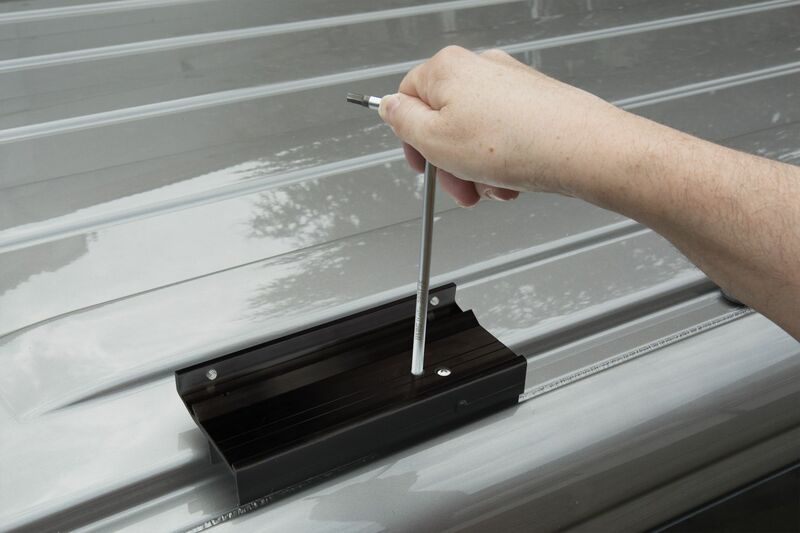 If the vehicle is equipped with C rail, it is necessary to remove it and locate the brackets on the set points. 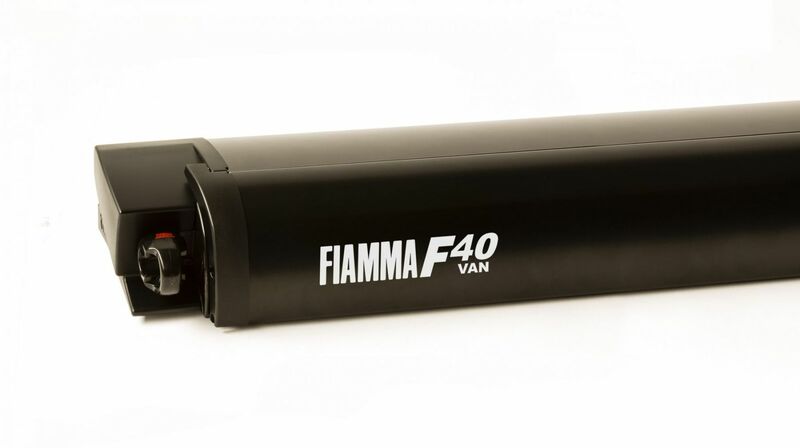 Installation kit (Kit VWT5/T6 for F40van, Item no. 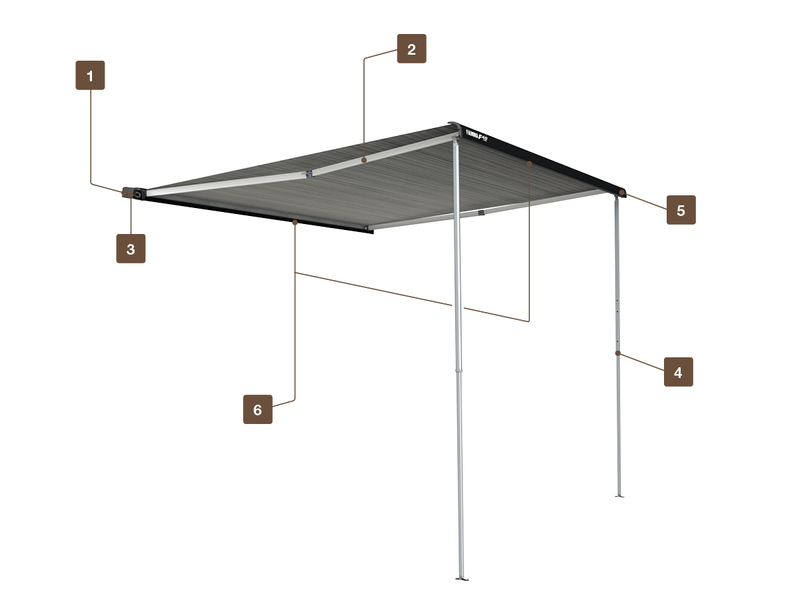 98655Z030) optionally available, simplified installation without drilling, with roof-integrated brackets.